A friend and I were discussing the problems of a lack of temperature compensation when 3D profiling. He was talking about how he’d run a group of 4 parts and the first one might have a big 0.003 or 0.004″ step in it at after a toolchange because the machine wasn’t warmed up properly. 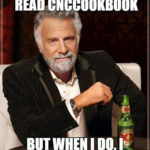 I got to wondering about temperature comp and eventually discovered an article on MMSOnline about RAMTIC by using CNCCookbook’s Machinist’s Search. There are so many great ideas there that I had to write about it. First, what is RAMTIC? 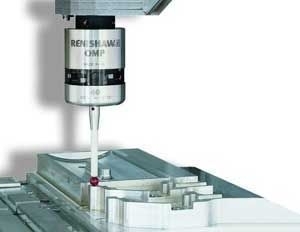 It’s an acronym for “Renishaw’s Automated Milling Turning and Inspection Center.” This was a system they came up with back in the early 1990’s to allow them to build their super-precision probes very cost effectively on inexpensive machines. It involves a great many excellent ideas that I want to go through one by one. 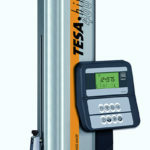 Its essence is portable carousels for palletized workpieces, cutting tools, and reference artifacts. Let’s check out some of these ideas in more detail. I want to start with the Reference Artifacts because I found RAMTIC looking to see how to use in-process probing to compensate for temperature effects. Here is the amazing thing: given an acceptible amount of repeatability, a machine can use a probe to increase its accuracy. This is done using “reference artifacts”. A reference artifact is something you’ve made up to measure that mimics your part’s critical dimension in the ways that matter for accuracy. The artifact has to be calibrated, so you know it is of the proper tolerance. And it has to be made with the same features, properties, and materials as the part. The artifact is then used to take relative measurements versus the part’s features with the probe. Let’s say you decide to calibrate after each toolchange, after each part, or perhaps on some periodic interval such as hourly. 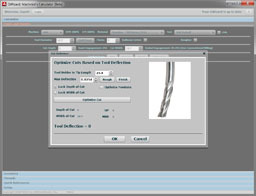 Using in-process probing routines in your part program, you measure the key features of the reference artifact and compare them to your part. You can then have macros in your g-code apply offsets and scaling factors to adjust the program based on the known dimensions of the artifact. How does that work? – The artifact is the same material as your part, so its thermal expansion properties are similar. This compensates for the temperature of your shop and any temperature change your coolant is bringing to the workpiece and artifact. – The difference in the artifact’s apparent probed dimensions and known reference dimensions also account for thermal expansion of your machine. There are a number of other ways reference artifacts can dramatically increase accuracy. For more details see, “Break the Accuracy Barrier“, another MMSOnline article about probing. I love the reference in the article to “funny tapes.” These were CNC programs that were hand-tuned to the peculiarities of particular machines and jobs to compensate for errors. Reference Artifacts are a much simpler and easier to manage approach to the problem. Tooling up a machine for a particular job is a big part of the setup cost. RAMTIC offers the unique idea of bringing along job-specific tooling with the pallet. Drop the pallet on the machine and the g-code program can cause the spindle to pick up the tooling from the pallet and load it into the changer. When the job is done, tooling can be returned to the pallet. This can be done for all the tooling required for the job, or shops could keep certain standard tooling in the changers and keep some subset of tooling for the pallet. 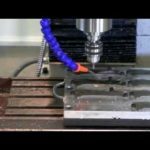 There’s a great video on MMSOnline that shows the RAMTIC system being used for turning on a VMC (yep, you can use your milling machine as a lathe). 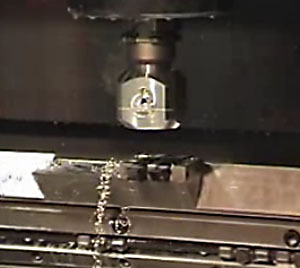 The parts are mounted on toolholders, they come in via a rail system to the VMC, the spindle descends and loads one up, and it is turned using standard indexable lathe tooling. The pallet of toolholders and the lathe tools look like they’re mounted on some kind of dovetail railing that loads into a 4th axis. 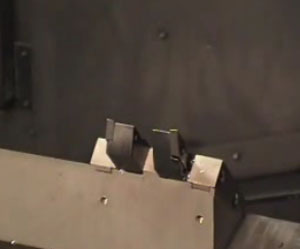 Perhaps the tooling and the workpieces are on separate dovetails indexed in that 4th axis–it’s hard to tell from the video. 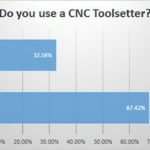 It’s fascinating to see what’s possible when a CNC manufacturing system is finely tuned and smart machinists make full use of the capabilities. 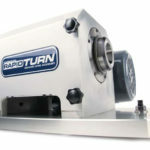 RAMTIC was able to hold very tight tolerances on relatively inexpensive machines. 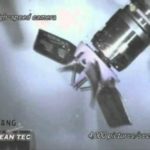 The Breaking the Accuracy Barrier article talks about achieving very tight tolerances through some specific techniques. Obviously there is a lot to learn to use these techniques effectively, but the potential is impressive. Now here is a question: can we apply any of these techniques to one offs? It’s pretty easy to see how they matter for manufacturing. You’ve got volume with which to amortize the costs and refine the process. How do you get some of the benefits of reference artifacts for one offs? I will speculate that even probing reference artifacts that are standards but are not exactly the same dimensions as your key job features may be valuable. Perhaps a separate artifact is not even called for. There may be value, for example, in probing the vise sitting on your table. But what about, for example, a set of vise jaws made of your workpiece material (steel for steel jobs, aluminum for aluminum jobs, etc.). Mount the jaws, measure the key dimensions in X, Y, and Z with a micrometer, and enter those into your g-code program. A set of probing macros can then probe the jaws at points you designate and adjust for thermal effects on the job. That and a toolsetter on the machine might just make a big difference. BTW, if you’re looking to see how much heat is needed to distort a part sufficiently to exceed your tolerances, try G-Wizard’s Thermal Expansion Calculator. Hmm how about making artifacts parts that could be joined to make specific shapes. That could be cost efficient to change the shape to fit on other artifacts. It would certainly reduce cost. It can only used from the mixed of regular shapes though.